The official definition of cloud computing according to Wikipedia is a kind of Internet-based computing that provides shared processing resources and data to computers and other devices on demand. It is a model for enabling ubiquitous, on-demand access to a shared pool of configurable computing resources (e.g., networks, servers, storage, applications and services), which can be rapidly provisioned and released with minimal management effort. Cloud computing and storage solutions provide users and enterprises with various capabilities to store and process their data in third-party data centers. It relies on sharing of resources to achieve coherence and economy of scale, similar to a utility (like the electricity grid) over a network. The cloud is a storage flexible experience. This means it is simple to add extra storage space, or reduce storage space, without moving or damaging existing data. Cloud systems can burst and get more power when they need more power. Imagine a fast food restaurant that serves breakfast. They know that 98% of Mondays require four staff to handle the 6:00 a.m.-9:00 a.m. crowd. However, they always have a manager on staff as well, just in case there is a Monday where a fifth person is needed for an unexpected 7:30 a.m.- 8:00 a.m. rush. This person is already resourced, there is no extra cost to the organization as long as they are only helping out (bursting) for a short period of time. 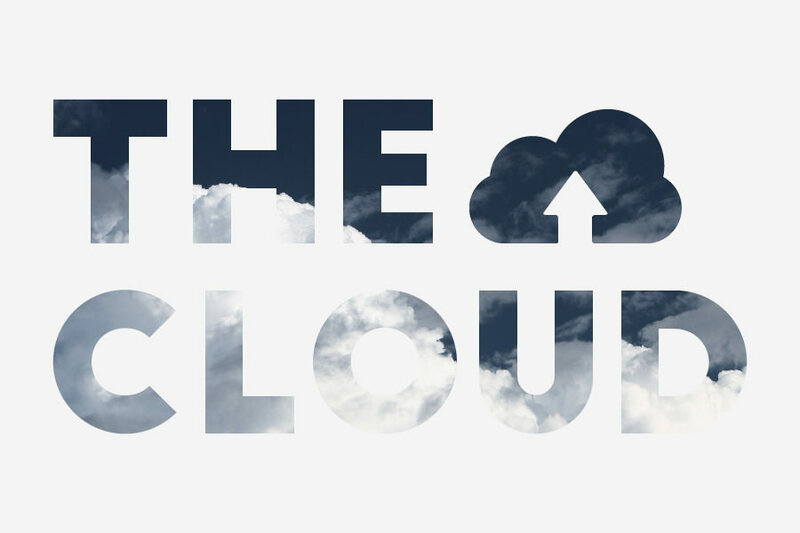 The cloud offers software as a service (SAAS). For many decades, using software meant a person needed to install something on a personal computer or use software hosted on an local network, intranet, or extranet. SAAS allows a single browser (Google Chrome, Internet Explorer, Etc.,) to access and run software with little to no data being stored on a personal computer or device. The Chrome Book using Google Chrome is an excellent example of this idea in action. Collaboration and sharing, at various permission levels, are a foundational part of cloud based solutions. This does not mean sharing via email and attachments. This refers to the ability to have a central source of data that individuals can work on in real-time. The work can be synchronous or asynchronous. Backing-up data and protecting deleted files is done automatically. Cloud technology includes a few levels of backup protection that require little to no professional management. This helps supplement private/local backup and archival processes. Vendors and brands are often associated with cloud solutions, however, there are plenty of private cloud solutions that meet all five criteria above, and are managed like any other technology inside a company. There are cloud based hardware and software solutions that medium and small businesses can buy to easily manage their own solutions and protect all their data. In fact, using a cloud based solution does not mean that people are required to surrender all their data and privacy to big companies. Why Did Schools Start to Switching to the Cloud? In 2011, Yale University announced they were moving from their locally hosted e-mail solution to Google Apps for Education. This was not an easy move, nor a move that was without controversy. However, when Yale did make the move, any doubts around the legitimacy of working in an educational cloud based environment were laid to rest. Currently there are over 100,000 million educational cloud users. Some of these people are using the technology as individuals, and others as part of an organization. When a school runs all their technology inside of a school owned building/property, they incur many costs. As the school grows and expands, the costs will eventually become fixed onto a cycle. It is a misconception that the cycle of expenditure will stop once a school creates a stable ecosystem. Every 3-5 years upgrades will be required, items will need to be replaced,and training and certifications must be regularly provided to staff. Running servers, software, storage, and other resources on premises is expensive. When companies like Google began to offer email, storage, software, and other services to schools for fraction of the cost, and without the need to maintain a large IT staff, schools took the offer. Institutions like Yale found they could re-purpose their infrastructure to create niche resources for research based departments, engineering, media, and other disciplines requiring technology that needed to be on-campus. Although schools may have been working in a similar fashion in the pre-cloud environment, they were paying a higher rate to do that same work than they are in a cloud based environment. I also believe that many educators and students also like the flexibility and choices available on cloud platforms. They are not solely dependent on a single IT department to solve their problems and approve solutions. A misconception with cloud technology is that it is 100% free. Schools should budget between $4.00 – $9.00 USD a month per teacher and administrator in order to ensure there is an annual line item to pay for cloud services. This price range will cover most plans offered to schools that qualify for educational pricing, with some money left over for third-party subscriptions. Students are usually free. Steve Jobs famously avoided using focus groups. He said, “It’s really hard to design products by focus groups. A lot of times, people don’t know what they want until you show it to them. As users use a new service, they create a demand for solutions that were currently non-existent. A teacher shares a file to a class of students. The teacher would like to do real-time formative assessment within the collaborative environment. This feature is provided by a third-party, or must be developed by the school. Therefore, an unexpected cost is incurred. In scenarios like this one, having the pre-arranged line item allows the school to be as flexible as the cloud. Should Schools Be Using Cloud Services? In my opinion, for most schools, the answer is absolutely ‘Yes’. When schools run everything internally their technology resources and support end up being mainly focused on school infrastructure and day-to-day operations. There is little time for improving the technology involved in teaching and learning without adding more people to the problem and straining the HR budget. Cloud based solutions can not only liberate physical and digital resources, they can also allow employees to refocus on other areas within teaching and learning. Many talented people working in schools spend a significant amount of their time keeping the gears oiled and the engine humming. These people could be focused on implementing new technology that connects to the classroom, to the parents, or to saving valuable time for teachers. This entry was posted in Tony DePrato and tagged Cloud, GoogleApps, Office365, TheCloud. Bookmark the permalink.